Since the last time I wrote, there has been quite a few changes in my life. To start off with, my grandpa passed away… Meaning both of my grandpas have now left. This whole experience has made me think more on nutrition/lifestyle choices. At high school, I did cross-country/ran a lot and even now, I hit the gym at least 4 times a week. However, I think healthy lifestyle choices are more than just how much we exercise. It’s also about what we put into our own bodies. I have also discovered that my body acts as if I have something-[hyperglycemia???] meaning that my body reacts rather sensitively to white flour/processed sugar. I get tired more easily than other people. Even my GP agrees that my body seem to just absorb sugar quicker than some other people. When I eat natural, whole food- as in veggies, fruit, whole grain, it’s fine. 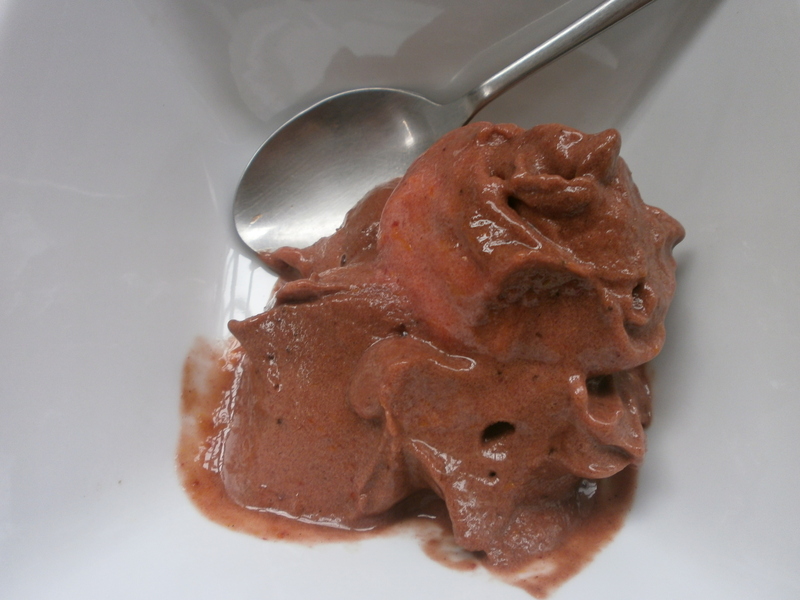 Today, I am sharing a rather cheap, so so yum/creamy textured i-can’t-believe-it’s-not-dairy-but-it-tastes-like-velvet-smooth-soft-serve-sorbet-texture recipe 🙂 Sorry for the massive sentence 😀 😛 HONESTLY, make these and get your non-vegan friends to try them. They will be surprised that this has no dairy at all. You can hardly taste the banana. Maybe zero. 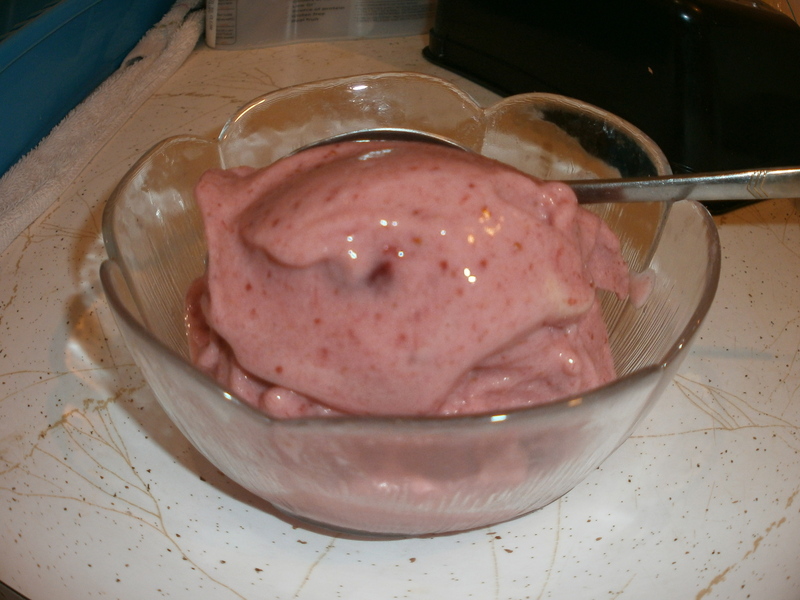 All you need: 1/2 cup of frozen, diced up banana, 1/2 cup of frozen strawberries, 1-2 Tablespoon of water(can substitute for fruit juice, if you want). 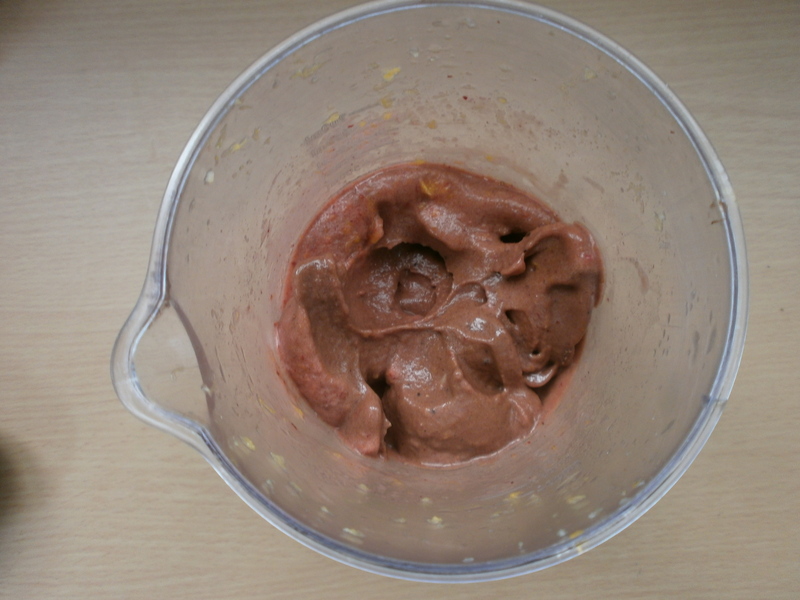 For Jaffa (orange-chocolate) vegan ice-cream, just add: 1 whole orange(skin peeled)+1/2 cup of frozen, diced up banana+1/2cup of frozen strawberries+1 Tablespoon of cocoa powder+1~2 table spoon of water. Whizz.